alaTest has collected and analyzed 203 reviews of Panasonic HDC-SD80. The average rating for this product is 4.2/5, compared to an average rating of 4.0/5 for other Camcorders for all reviews. Reviewers really like the zoom and size. The image quality and portability are also mentioned favorably. The memory and battery get less positive opinions, while opinions are divided on the viewfinder. We analyzed user and expert ratings, product age and more factors. 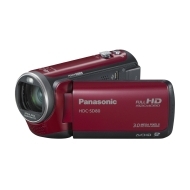 Compared to other Camcorders the Panasonic HDC-SD80 is awarded an overall alaScore™ of 88/100 = Very good quality. alaTest has collected and analyzed 66 user reviews of Panasonic HDC-SD80 from Amazon.co.uk. The average user rating for this product is 4.2/5, compared to an average user rating of 4.0/5 for other Camcorders on Amazon.co.uk. Reviews about the zoom and price are on the whole positive. The image quality and portability also get good feedback, but many are less positive about the viewfinder. alaTest has collected and analyzed 13 user reviews of Panasonic HDC-SD80 from Amazon.com. The average user rating for this product is 4.2/5, compared to an average user rating of 3.9/5 for other Camcorders on Amazon.com. Reviewers really like the battery and zoom. The image quality and portability also get good reviews. Reviews are divided on the durability, and many are less positive about the size. The camera is amazing, best money I have spent. Quality is fantastic and it's very easy to use. Only thing I can pick at is that the battery only lasts around 2 hours when being used, But this is to be expected as is recording in such high quality so I am just nit picking. The model covers a wide range of shooting situations from close distances to faraway subjects. Using Intelligent Zoom that employs super-high resolution technology and the Crystal Engine PRO, it offers ultra-telephoto Intelligent Zoom shooting to exceed the magnification range of the optical zoom, up to a high-powered 42x zoom. It also features a 33.7mm* wide-angle lens. to realize shooting at a close distance from the subject while fitting both the subject and the surrounding area into the frame.